First flight February 25 2005 with Deutsche Airbus D-AVWM test registration. Delivered Independence Air March 7 as N810BR. Company ceased operations January 5 2006. 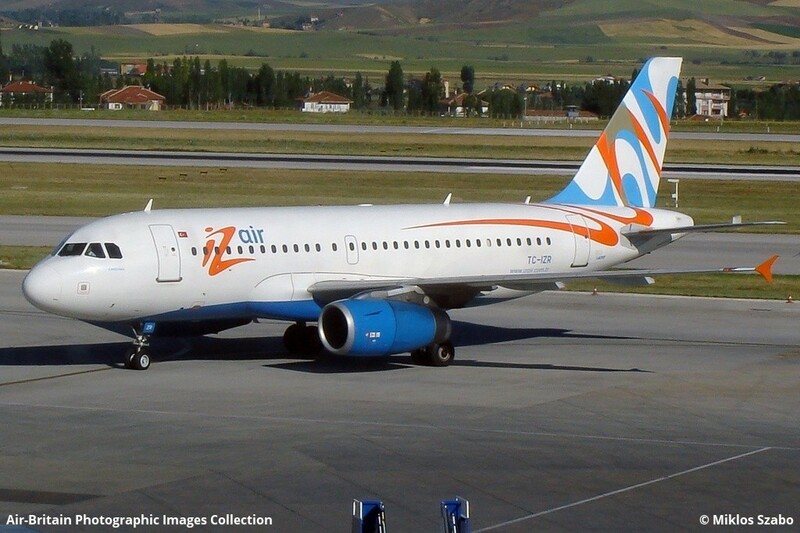 To Izmir Airlines â IZ Air, April 5 2006 as TC-IZR. Seen here through the transit terminal's thick green glass as taxiing into her position. June 15 2012 to Turkish Airlines as TC-JUB.